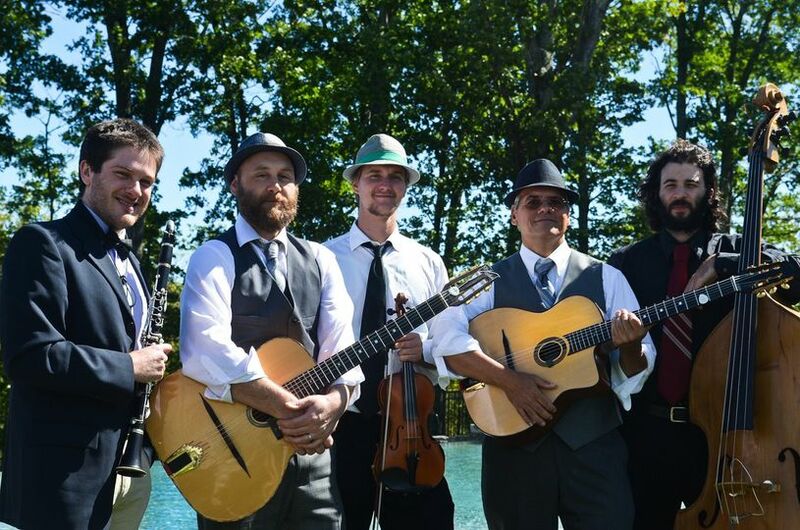 Hot Club of Saratoga's energetic, upbeat gypsy swing style is perfect to help make your event memorable. 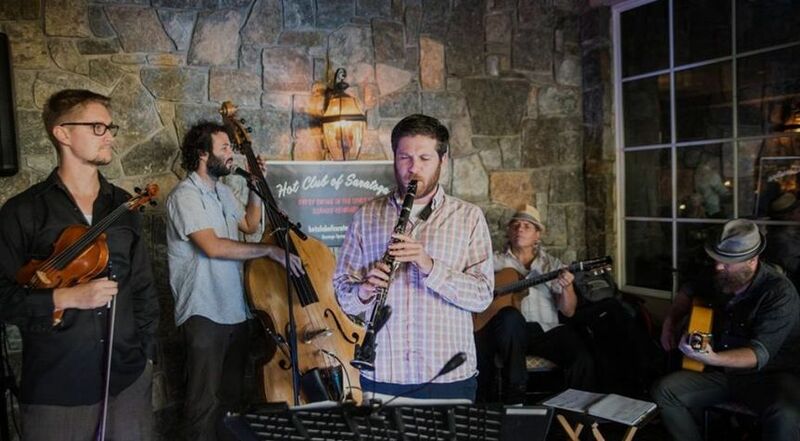 The premier gypsy swing ensemble in the region, Hot Club of Saratoga reflects the spirit and style originated by Django Reinhardt and Stephane Grappelli in the 1930's, bringing this music alive from high energy dancing rhythms to soulful ballads and everything in-between. Never too loud, always classy, we are sure to bring a smile to those who listen. 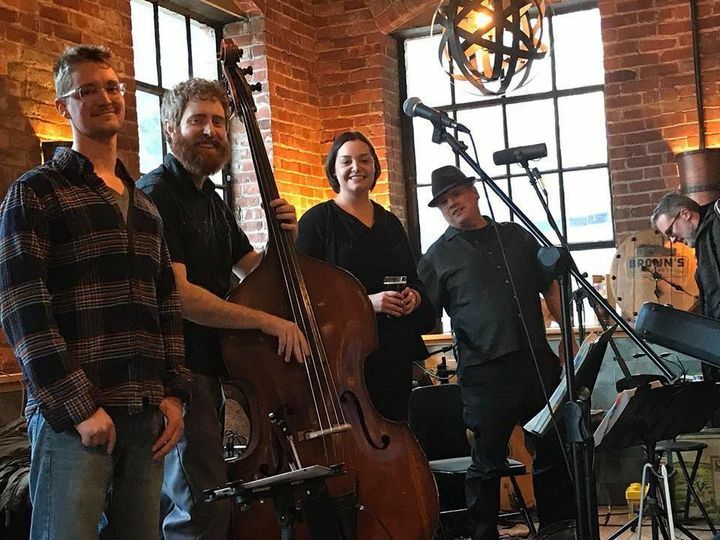 We can provide music for ceremony, cocktail hour, dinner hour, reception//celebration, or any combination and in any space from playing totally acoustically to with a full sound system. 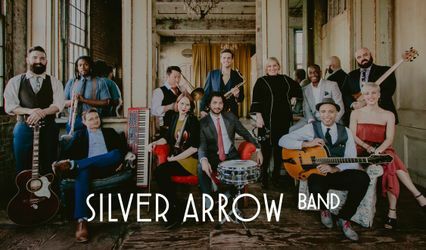 Perfect band for our brunch wedding! Chuck and the rest of the band were absolutely delightful. 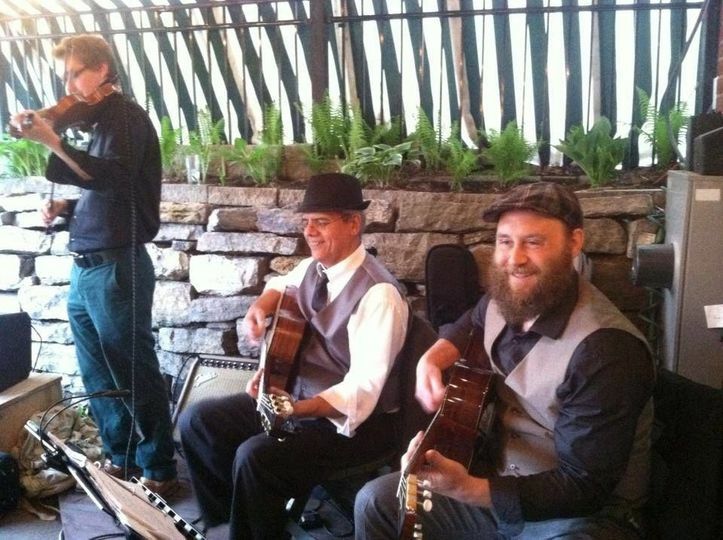 Their gypsy jazz style was perfect for our outdoor brunch wedding and reception. They even performed a few special songs for us during the ceremony. I cannot say enough good things about Hot Club Saratoga! They are wonderful! Great choice for our ceremony through dinner. 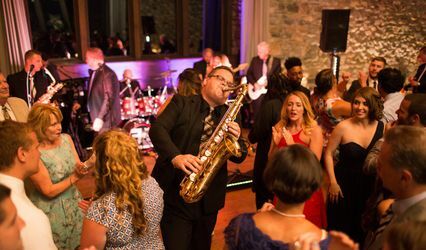 We agonized over the DJ vs. band decision for our Saratoga wedding.. We really wanted live music, but at the same time a DJ seemed the best answer for after dinner dancing. Eventually we realized we wanted both. We are so glad we found and hired Hot Club of Saratoga. Not only were they a perfect fit for cocktail hour and dinner with their signature Gypsy Jazz, they had the chops to play classical pieces for the ceremony too! 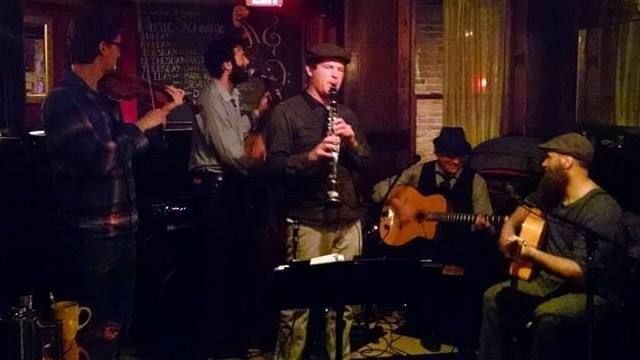 We got so many comments from our guests, typically, "Where did you find this fantastic band?" we even worked with them to pick every piece of classical we wanted for each part of the ceremony. Fantastic experience. Highly recommended. Hot Club did an amazing job at my recent wedding. We hire the group for the ceremony and cocktail house/dinner. From our first emails to the day of, Chuck and the guys are very easy to deal with - communication, payment, musical selections are all very easy. They are professionals...and it shows. 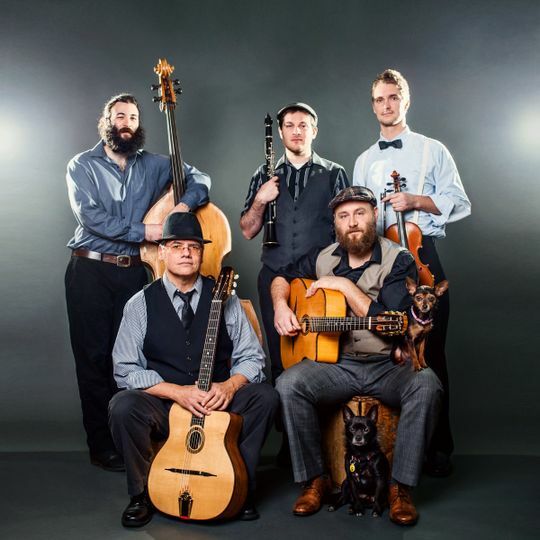 Their repertoire of this style of music is amazing. Everyone commented on how fun the cocktail hour/dinner was b/c we had such a different style of music than the "typical" wedding. The ceremony was beautiful - Chuck even provided a speaker and mic for it, which we really appreciated b/c our venue was DIY and we hadn't thought about that. 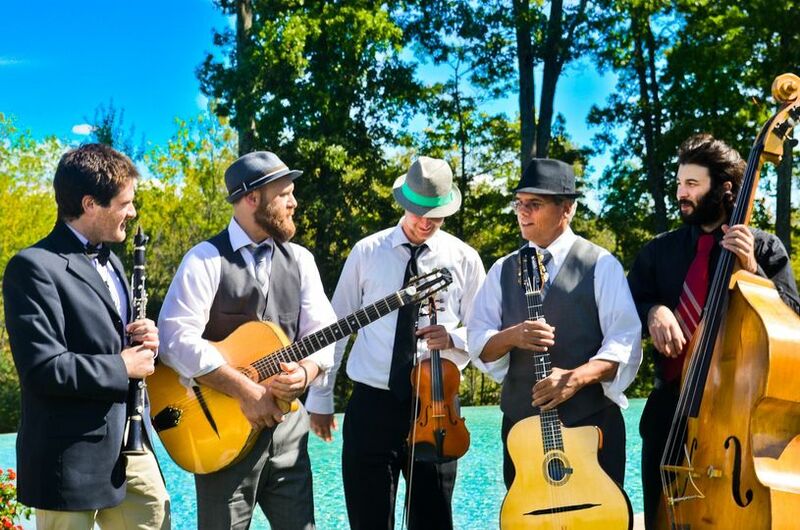 You won't be sorry booking Hot Club of Saratoga for your wedding!! We couldn't have been happier.